Self-harm and suicide have been identified as serious public health problems in children, adolescents, and young people aged 25 years and under across the world [1, 2, 3]. The term self-harm can be used to refer to acts of self-poisoning or self-injury (e.g. cutting, scratching, breaking bones, burning) carried out intentionally regardless of motive or suicidal intent [1, 4, 5]. The prevalence of self-harm can be difficult to determine as it is usually a secretive and hidden behaviour . Less than 20% of adolescents who self-harm seek treatment resulting in substantial unreported cases [6, 7]. Despite this, community-based studies have reported prevalences of 10–18% in adolescent populations [6, 7, 8, 9, 10, 11, 12, 13], and these rates appear to be rising [14, 15]. Data from the UK shows that the highest rates of self-harm occur in adolescent and young adult populations and that there is marked gender disparity between those aged 16–24 [9, 11], with 25.7% of young women having self-harmed compared with 9.7% of young men . 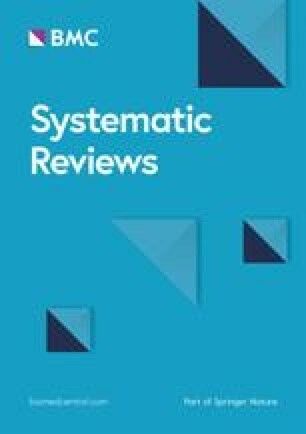 Repetition of self-harm is common, with 15–25% of adolescents treated at hospital for an episode of self-harm return for treatment within 12 months [2, 16]. Repetition has also been shown to be common in those not engaging with clinical services . There is a large variation in the type, format, and content therein of risk scales/tools being used across the UK [29, 30, 31]. Some only assess a few parameters and others assess a more extensive range. The content of these tools includes previous self-harm, method of harm, current psychiatric treatment, age, and employment status [32, 33, 34, 35]. Some are short, for example the Manchester Self-Harm Rule and the ReACT Rule assessing four and five parameters respectively. In contrast, the Repeated Episodes of Self-Harm (RESH) Score and the SADPERSONS Scale are longer, assessing about nine and 11 different parameters respectively [32, 33, 34, 35]. As neither review focused specifically on adolescents, and as this is a key age group affected by self-harm and suicide, a review targeting scales/tools for adolescents is clearly required. The scoping searches identified a body of published literature specific for this population supporting feasibility [38, 39, 40, 41, 42].